Click here for audio of Episode 1880. Today, Kenneth Clark and Jacob Bronowski. The University of Houston's College of Engineering presents this series about the machines that make our civilization run, and the people whose ingenuity created them. Clark and Bronowski defined the television historical documentary as we all know and expect it today. Their two series were named Civilisation and The Ascent of Man. And we have yet to surpass either one. Art historian Clark used art and architecture as his window into the formation of civilization. Biologist Bronowski generally used science. But both saw far beyond any one field. Both knew perfectly well that, if you truly understand your subject -- whatever it might be -- it will, necessarily, embrace all subjects. Haunted me like a passion. People sometimes wonder why the Renaissance Italians, with their intelligent curiosity, didn't make more of a contribution to the history of thought. The reason is that the most profound thought of the time was not expressed in words, but in visual imagery. That remark immediately summons up Leonardo da Vinci. Both Clark and Bronowski have a lot to say about him. Clark says, "[We're] worn out by [his] energy. He won't take yes for an answer. He can't leave anything alone." Then you realize that art historian Clark is describing Leonardo as a scientist. In Bronowski's piece The Long Childhood (about the evolution of the our brains) he offers Leonardo's Madonna of the Rocks as an expression of our struggle to grow. 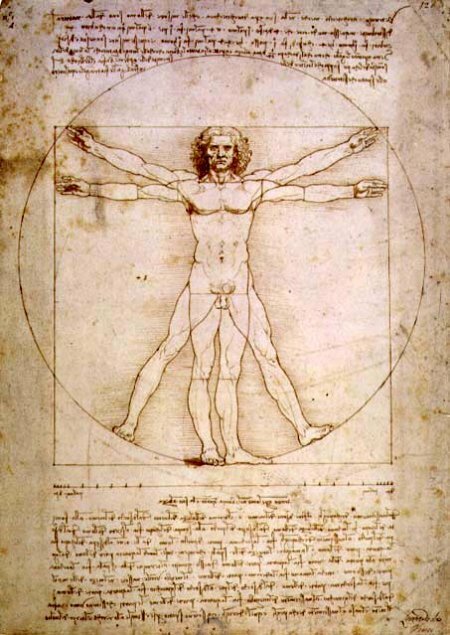 He sees Leonardo's anatomical sketch of a child in the womb as a universal expression of hope. ... civilisation has been a series of rebirths. Surely this should give us confidence in ourselves. They both clearly assert our capacity for saving ourselves. They realize that technology, science, and the other arts have always converged upon our problems. And they surely remain our only real hope in troubled times. J. Bronowski, The Ascent of Man, Boston: Little, Brown and Company. 1973. Sir K., Clark, Civilisation: A Personal View, New. York: Harper and Row, Publishers, 1969.